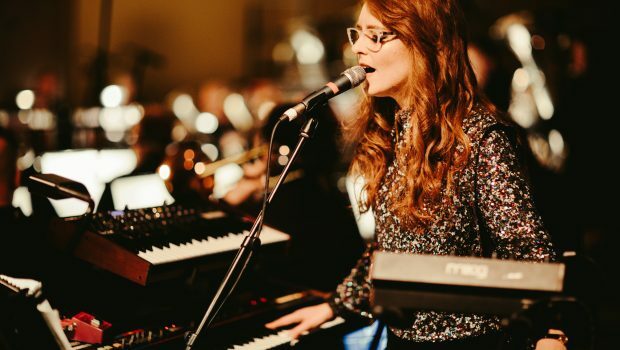 Electronic artist/composer Hannah Peel will be performing her New Music Biennial piece “Mary Casio: Journey to Cassiopeia” at the one-off UK City of Culture event Substance Live – Future of the North on Saturday 9 December 2017. Hosted by BBC 6 Music and Radio 3 presenter Elizabeth Alker, Substance Live features live performances from some of the most exciting and innovative women making music in the UK, musicians renowned for their experimentalism and pushing the boundaries of music to challenge as well as entertain audiences. As well as Hannah Peel, the line-up includes Nadine Shah‘s politically charged post-punk; the psychedelic dream pop of Jane Weaver; the cosmic performance art punk of Lone Taxidermist; the contemporary folk of Hull-based The Dyr Sister; Sister Doom duo based in Hull and Leeds Chambers and PINS, formed in Manchester and firing out noisy, textured pop the band are at the vanguard of the New Wave of British guitar Rock and Roll. Tickets for Substance Live are on sale now, priced at £10 and £12 and available from www.hull2017.co.uk/substance.